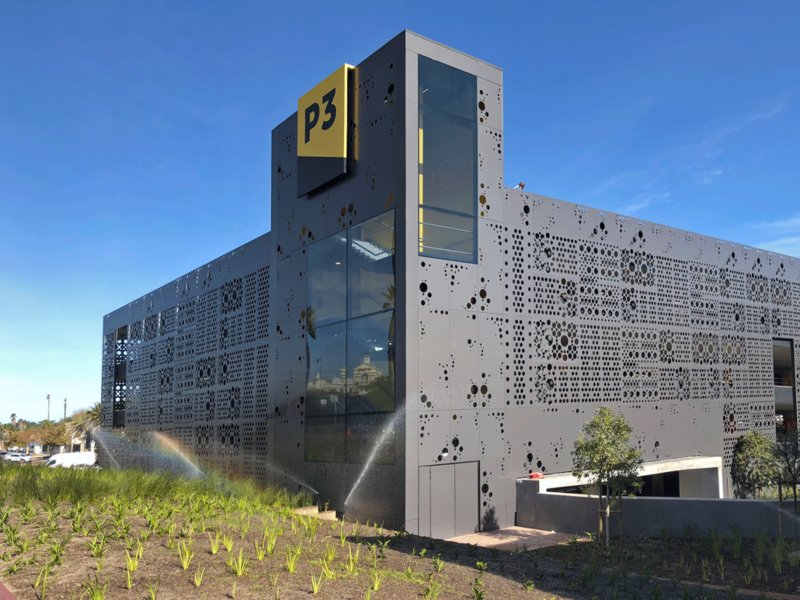 Our P3 parking building for Rabie Property Group in Century City has reached practical completion. Designed with the concept of “I am not a parking garage” in mind, we aimed to create an interesting urban contribution for a building type that is usually quite alienating. 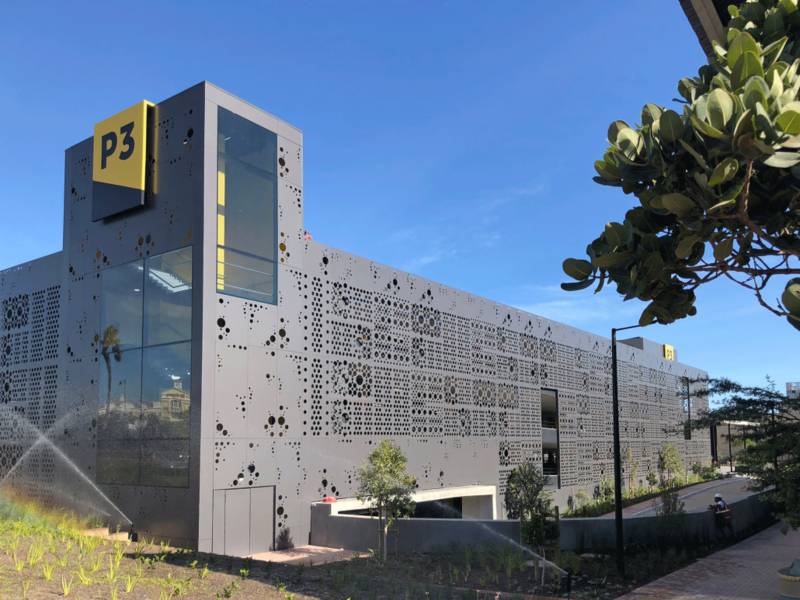 The Interesting patterned façade engages and lets the building breathe, and the articulation of the entrances and staircases make the building seem more like a museum than a parking garage. 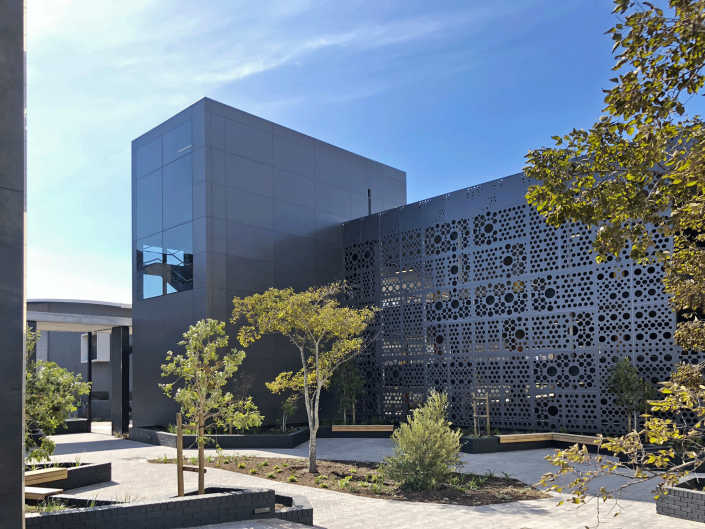 We have also designed a small & sheltered public piazza on the north west side offering another public space in the Bridgeways Precinct, part of a “string of pearls” which will in future connect a pedestrian route through the Ratanga wetland.